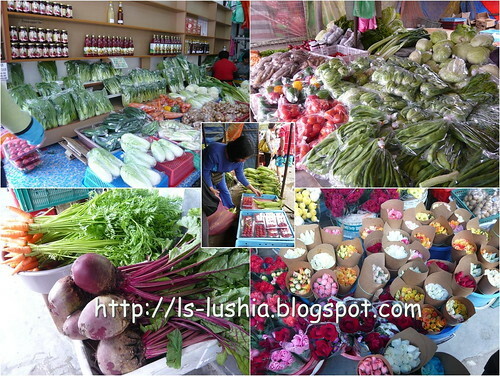 Vegetables, strawberries and flower farms can be located throughout the highland. 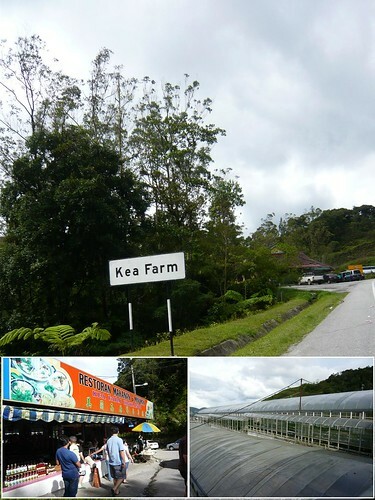 One of the most popular farm at Cameron Highlands would be Kea farm. Kea farm is located at north of Brinchang, a walking distance to Equatorial Hotel. It's one of the most worth to visit farm at the highland. Right at the entrance of key farm, there is a vegetable market, one of the most famous tourist spot to grab fresh vegetables, fruits and flowers. Vegetables prices are reasonable. Cactus and flowers like roses are real cheap here! Besides Kea farm, there are more smaller farms scattered throughout the highlands. Make a stop if you would like too!! If it is only 2 days 1 night trip... you got to plan the farm visiting schedule- cause there are too many farms to visit!